Petal is the creation of Kiley Lotz from Scranton, PA. She has released a few albums and an EP (all on bandcamp). Her recorded output has a somewhat heavier alternapop sound–there’s some great bass on her records. She plays quite a lot and I have almost seen her a few times. I believe that most of her concerts are with a band, although this one was solo. 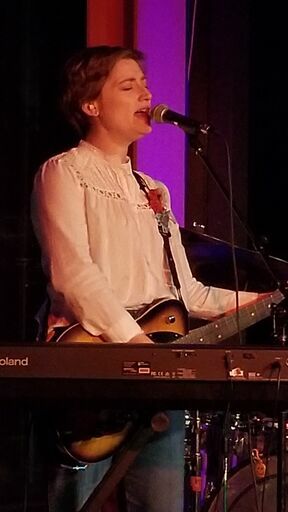 It turns out that she is also good friends with Carly Comando and Tom Patterson from Slingshot Dakota–Kiley has a special connection to the Lehigh Valley, too. And she was very happy to support Lehigh Valley Girl Rock. Two summers ago Sarah and I took the kids to Boston. It was a vacation that was centered around we adults seeing Pearl Jam at Fenway Park. 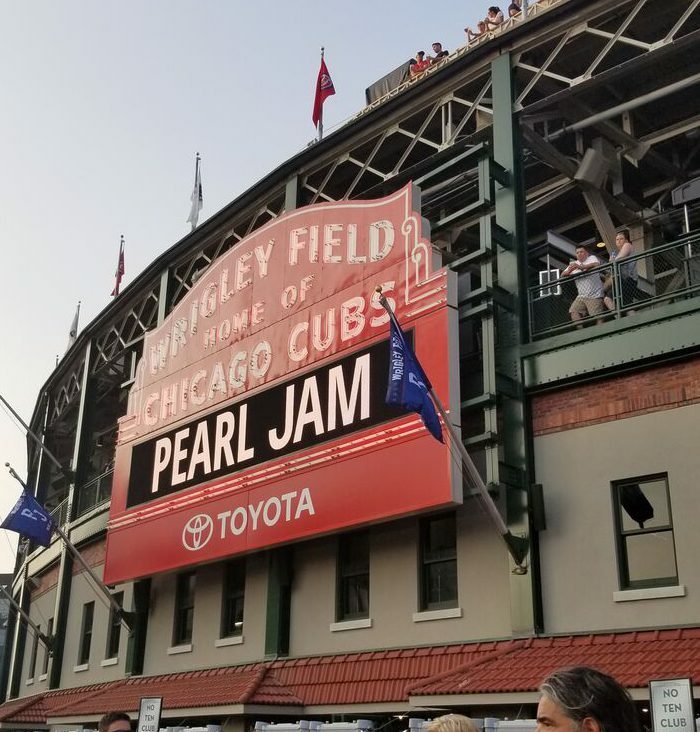 When Pearl Jam announced that they were doing a short summer tour, I thought it would be fun to try to get tickets to the Wrigley Field Shows. I’m not a huge baseball fan, but I used to enjoy baseball and always wanted to see Wrigley Field. So when the tickets were announced I took a chance and scored two tickets to each night of their dates. And so we built another vacation out of travelling to see Pearl Jam. Ironically we’ve never seen them in our home state. 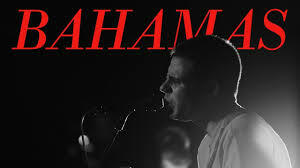 SOUNDTRACK: BAHAMAS-Live at Massey Hall (February 5, 2016). Afie Jurvanen is Bahamas, an indie folk act. For this set he is joined by Jason Tait, Felicity Williams, Christine Bougie, and Darcy Yates in various roles. This set opens with “Like a Wind.” Jurvanen’s voice is rough and scratchy and quite nice. But its his backing vocalist (not sure which one) that really launches this song into the ether. She sounds amazing. There’s a nice touch a of a slide guitar and the rumbling drums are a great addition as well. It was some time around “Southern drawl” that I realized he sounds a bit like Tom Petty. It’s a pretty poppy song–perfect for summer. “Caught me Thinking” is another poppy song with a rocking 1-2-3-4 rhythm for the verses and “I Got You, Babe” has a wonderful pop riff (but is not a cover). It’s a great song–shame it gets interrupted by his interview. This story started off doing one thing and then quickly went in a direction I did not expect. As the story opens, Carl Hirsch is going to a party. He rarely goes to parties, especially work holiday parties. And when he shows up, the host greets him with alarm. 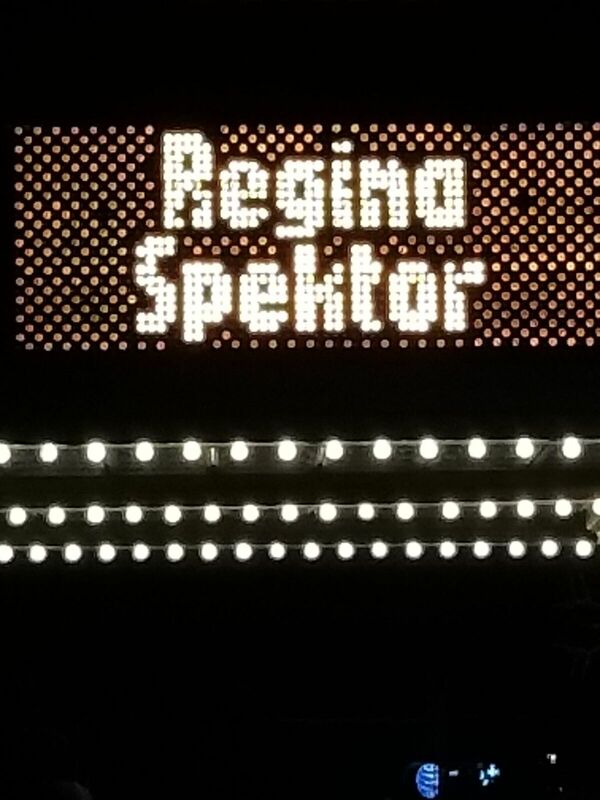 I have really enjoyed a lot of Regina Spektor’s music. I have never seen her play, so this show at the nearby State Theatre seemed like a great opportunity. I don’t know what she normally tours like, but this show was advertised as just her, playing solo. And that was fine with me. She came out on stage to thunderous applause and whispered “thanks” into the microphone. She then proceeded to sings songs and drink water (a lot of) water. Turns out that she had bronchitis. And amazingly, she sounded freaking terrific. Her voice was outstanding (and her piano playing was pretty fab as well). The show was listed as being an hour and forty-five minutes and in that time she told stories, played different instruments and sang twenty-five songs. 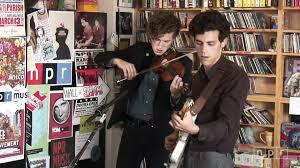 SOUNDTRACK: NOAH AND THE WHALE-Tiny Desk Concert #147 (August 10, 2011). I know Noah and the Whale a little. I don’t think I realized they were from England, especially since the lead singer/guitarist looks so much like Ben Stiller (with a big fro). I’ve enjoyed what I’ve heard from them, although I can’t say I know that much about them (although see that Laura Marling was briefly in the band). For this Tiny Desk, there are just two men (one Noah, the other the Whale, perhaps? No, Charlie Fink (vocals, guitar), and Tom Hobden (violin, vocals). Evidently they had a drummer but he left the band to pursue academic success so they enlisted a dreaded drum machine. (In the blurb, Stephen Thompson talks about how shocked everyone as to hear it). The one bad thing about the machine of course is that it limits then from playing anything spontaneously. But they sound very good even with the machine. There’s a sort of Tom Petty/Bob Dylan vibe to the first song with the super catchy spelled out chorus of “L.I.F.E.G.O.E.S.O.N.” When the violinist sings harmonies, the song sounds especially good. “Blue Skies” does not have the drum machine. It is a mellow, pretty song with Fink’s delicate voice singing a breakup song. “Waiting for My Chance to Come” is a upbeat song (with drum machine). Fink switches to acoustic guitar giving this a bigger more vibrant folk sound. It’s really catchy and fun to sing along to. I remember the last time I listened to Noah and the Whale (from an NPR show covering the Newport Folk Festival), I wanted to hear more from them. And once again I do, although perhaps with a full band (and yes, they have broken up). I re-read what I had written about McFalane’s previous story which I read in 2013. I enjoyed the first section (which was very short) but felt a little less grand about the second half. This story (although it was much shorter) had a similar quality. SOUNDTRACK: SHEARWATER & SHARON VAN ETTEN-“Stop Dragging My Heart Around” (2013). Everybody knows this song. It was way overplayed (overplayed enough that Weird Al parodied it in 1983). So I can’t say I was all that excited to hear this cover. What’s nice about it though is that if you’ve heard a song a million times, hearing a slightly (not radically) different version can reintroduce it to you in a new way. It’s noisy and clunky in the music–giving a more folkie vibe. And while Sharon sounds a bit like Stevie Nicks—she gives that same raspy quality to it–she’s definitely not trying to be Stevie. The Shearwater vocalist does moderate mimic of Petty—enough to show that he knows what the original sounds like without duplicating it. The whole feel has a kind of tossed off, less polished vibe that really works with the lyrics. It turns out that this version is live and it was released on a 7″ single (but NPR gives it to us for free). I like this version quite a bit although I do miss the “Ah ha has” and “Hey hey heys” in the bridge. T his was a very strange little story. In it, a woman wakes up after her house has flooded. Not entirely, but there was certainly a few feet of water (she can see the residue marks). What’s also strange is that she had not left her apartment for five days and she had just spent nearly $90 (the bulk of her grocery money) ordering a box of glacé apricots from Australia–in gold foil at extra cost–no less! She feels guilty… but they just looked so good in the catalog. Of course, so did the mosquito netting–but really what use had she for that? She spent some time thinking about the Australians working in the glacé apricot factory–did they ever steal an apricot? Were they hungry? Somehow she imagined them enshrouded in the mosquito netting. So, the cover looks the same and there’s still only two of them and there are also 8 songs and it’s also 35 minutes long. 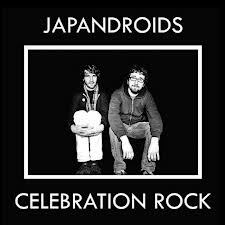 I guess the Japandroids second album is going to be more of the same. Well, yes and no. Their debut was a surprise success (which actually prevented them from breaking up) and they seem to take the successes of that album–big choruses and sing along sections to even more glorious heights. The songs are still poppy and super catchy and they’ve removed some of the noise that was on the first album. Of course at the heart of the album is still two guys playing kinda sloppy, poppy punk with loudly yelled lyrics–not exactly a formula for pop success, but not too far away from it either. The disc is pretty unmistakably from the Japandroids–the duo is still loud and fast with distorted guitars and vocals. But there is a lot more melody here. The guitar riff that opens the album on “The Nights of Wine and Rose” is simple, but it sounds like a new edge for the band. “Fire’s Highway” has a guitar sound not unlike Tom Petty until again the propulsive drums (and guitar) follows along. But there’s a lot more space to breathe on this song–it takes some of the punk edge off (although again the chorus is fast) and those backing Oh ohs bring it to a catchy conclusion). And check out the “Oh Yeah, Alright” section of “Evils’s Sway,” another Tom Pettyish nod to major catchiness. “For the Love of Ivy” is a cover and it very distinctly does not sound like a Japandroids song (which sounds obvious, and yet it’s fascinating that it fits with the album but doesn’t sound like anything else they’ve done). It’s followed by “Adrealine Nightshift” a song that adds a kind of classic rock anthemic feel–a very different kind of anthemic feel than the other songs–to the mix. “Younger Us” is a powerful rocker that gets more and more chaotic as it goes along–but it starts from such a poppy place that it’s a great ride to take. “The House That Heaven Built” has a kind of Arcade Fire feel to it (ironic given the disparity of band members), but it’s got that same big vibe and lots of oh oh oh ohs. The guitars start fast and don’t let up. The final track, “Continuous Thunder” sounds like a slightly different band–the vocals are cleaner and the drums are more martial and less frenetic–although the guitar is still continuous and by the end the pace is simply breakneck. So yes, this is a poppier version of their debut (and a successful one at that). If one still cared about bands selling out one might suggest that that’s what’s happening here, but it’s still a far cry from a pop album. This is the first book in the McSweeney’s McMullens collection that is written for young adults. And while the writing isn’t perfect (there were a number of sentences that I found a little awkward), the story is wonderful and very captivating. The book is set in a parallel universe or a distant dystopian future. The protagonists live in a borderline-wilderness state. There is little money for food, there is no electricity and no modern technology. 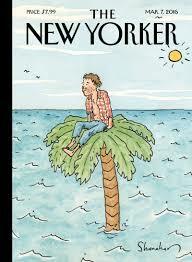 But the big difference in this book is that there are places that have yet to be explored. New worlds, new territories that are not on the map. So it must be a new world? No, because the protagonists venture to Philadelphia and Arizona. 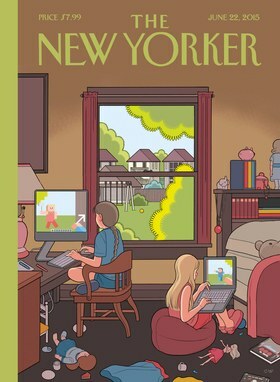 So, perhaps this is set way in the future after the deterioration, when maps proved to be unreliable? It’s never exactly explained, and does it really matter? No, not really. 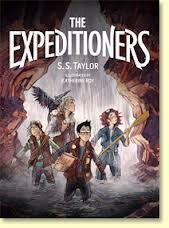 The protagonists are three kids: Zander, the oldest , M.K., the youngest and only girl who is a whiz with tools and tinkering and Kit, the middle child and narrator. Kit is the smart one, able to read his father’s maps and make smart decisions based on given information. Their mother is long gone (mothers always fair so poorly in adventure stories) and their father has recently disappeared. He was on an exploratory mission and has been reported killed. However, government officials did not approve of their father’s recent actions and had him stripped of his ranking as an explorer (could they be fabricating his death as well? Or at least the cause of his death? With the government acting in a very dictatorial fashion, anything is possible, especially since they have eyes everywhere. The story gets underway when Kit, who is out buying food at the market is grabbed by a tattooed man. The man knows who Kit is and presses a book on him, saying his father wanted him to have it. He tells Kit to be careful and runs off. Kit puts the book in his backpack and heads home, with his mind reeling. When he gets home, government officials are at their house. The kids are lucky–since they are technically orphans, they should be removed from their home, but for some reason, the government has not taken them away yet. But they ask if Kit or any of them has been approached by a man with a tattoo. Kit lies, and the men eventually leave.